Fire crews have been called to tackle a fire at pop star Ed Sheeran’s £1.5million estate. Suffolk Fire and Rescue Service were called today (Jan 25) just after 7.30am to reports of a ‘small building fire’ on his estate. Superstar Ed Sheeran, 27, has been using his £40million fortune to build his own property empire by snapping up houses in the Suffolk village where he lives. 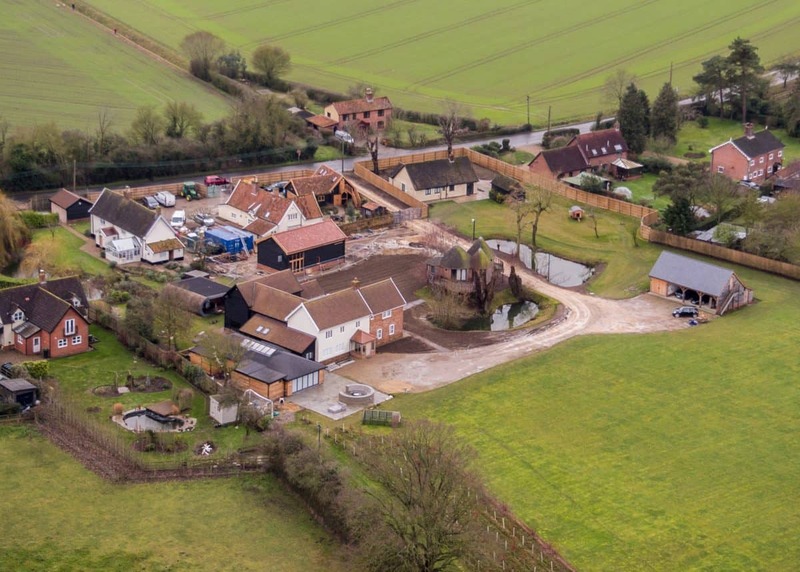 The hitmaker has bought four homes next door to each other to create his own country estate near Framlingham. A fire service spokesman said: “Suffolk firefighters were called to a small building fire at 7.33am this morning. “Three engines were sent to the incident, from Framlingham, Saxmundham and Halesworth. “Crews extinguished the fire quickly and then ventilated the area of heavy smoke. He said two firefighters wearing breathing apparatus used a hose reel jet to put out the fire. He added that no one had been injured and that the ambulance service were not required to attend. The fire service could not confirm what caused it and said there will be no further investigation. The millionaire musician plans to build an underground ‘man cave’ featuring a music room and cinema beneath the grounds of his main farmhouse. Plans have also been revealed for a huge outdoor renovations including a walled kitchen garden and a £21,000 greenhouse. Sheeran already has a giant treehouse, a trendy pod and a hot tub installed in his main garden, along with a covered swimming pool and a barn converted into his own pub complete with urinals and a choice of beer. Locals have now dubbed the area where he lives as ‘Sheeran-ville’ because he owns so much property there.